Very few restaurants I’ve visited lately have excited me as much as Ranelagh’s Brioche. Mr Fluff and I kicked off a recent four-day weekend with dinner here on a Thursday evening, and we both agreed: the cosy, relaxed vibe, coupled with the execution of the food, added up to the best meal out we’ve had in ages. Now, dinner here can work out slightly pricier than your average Dublin restaurant – but the food and service are anything but average. And that’s not to say you can’t eat here on a budget: two courses on a Wednesday, Thursday or Friday is €29 a head. The décor feels French but the food is decidedly modern Irish. 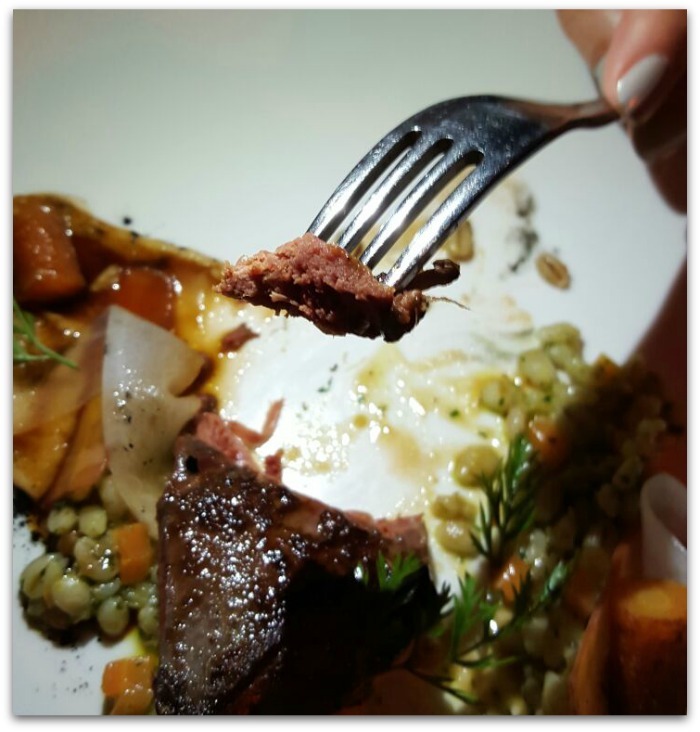 Seasonality and locally sourced produce is important here, so you can expect frequent changes to the menu, but our meal will give you an idea of what to expect. Every meal kicks off with the eponymous brioche, served warm with salted Irish butter (delish). This was followed by salt baked kohlrabi, a vegetable related to the cabbage and the turnip, and a first for both of us. It was absolutely delicious, served with a parmesan custard I could have eaten buckets of, lime and coriander pesto, and a home-made goats cheese that was remarkably creamy and light. This dish demonstrated two things about Brioche that held true throughout our meal. Firstly: the way vegetables are treated here is a joy and revelation. All too often thought of as an add-on, here they’re presented with imagination and finesse and are every bit as exciting as the meats. Secondly: everything that arrives on the plate is considered and harmonious, and it all works together so well. 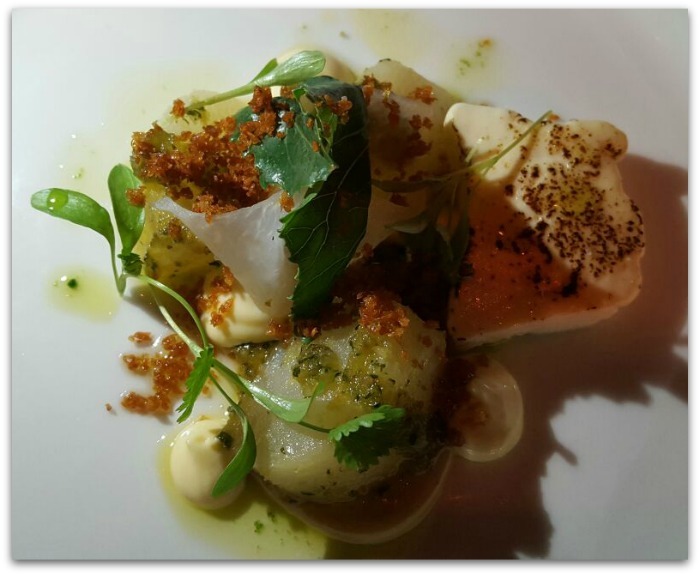 Every dish was beautifully presented and executed, with the added thrill of each course being a total surprise. 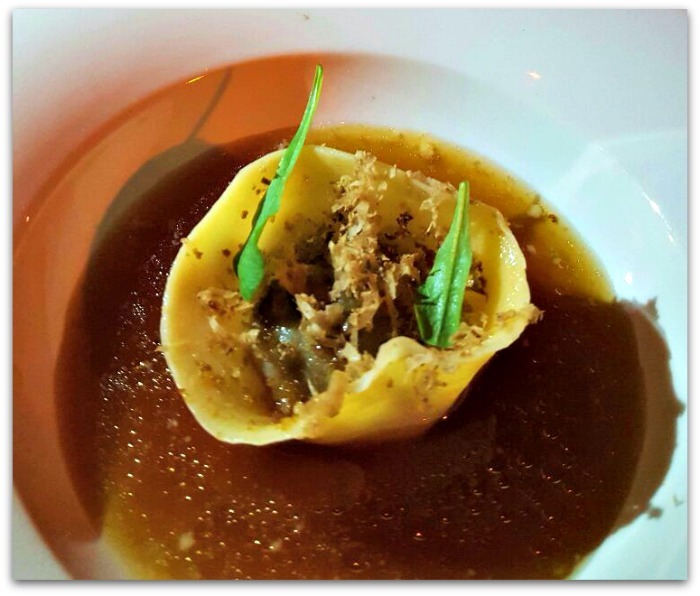 Next up on the chefs’ menu – and a contender for my favourite dish – was the braised oxtail tortellini in parsnip consommé, with pickled onions. This was so moreish that it had me chasing frantically after the last drops of consommé with my spoon, and I had to actively refrain from licking the plate. These were followed by skate, served with cauliflower, kale and pork scratching. Skate is a fish I don’t eat often, and this dish left me wondering why. The cauliflower – blanched in vegetable stock, then chargrilled – was also a revelation. 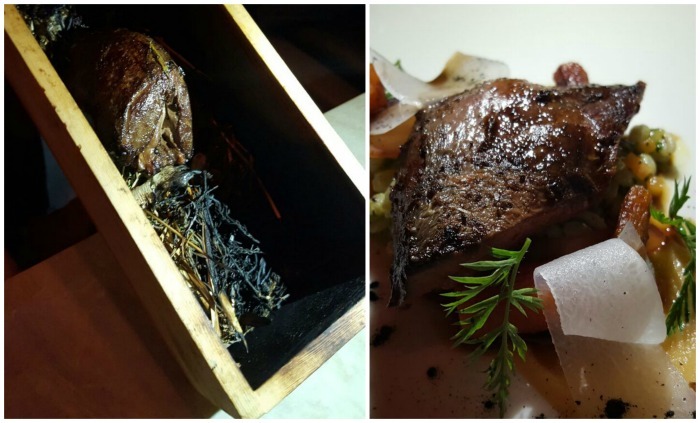 The savoury finale was Wicklow wood pigeon on a bed of barley, which came accompanied by a pleasing bit of theatre: the pigeon, smoked in a wine box, on a bed of hay and rosemary, is presented at the table before being finished on the grill. Not only does this look impressive, but it seals in all the smoky flavours, resulting in a lovely, juicy piece of meat without any overpowering gaminess. We were served different desserts, which in any other relationship would mean that we shared, but Mr Fluff does not share food. So I tucked into my pear concoction with delight while only nabbing a nibble of his arguably more interesting pumpkin custard. I was also chuffed to find a sherry cocktail on the menu; if you read this post you’ll know all about my new-found love of this under-appreciated wine. All in all: a spectacular meal, and a place we’ll rush back to soon. Have you been, or are you planning a visit? 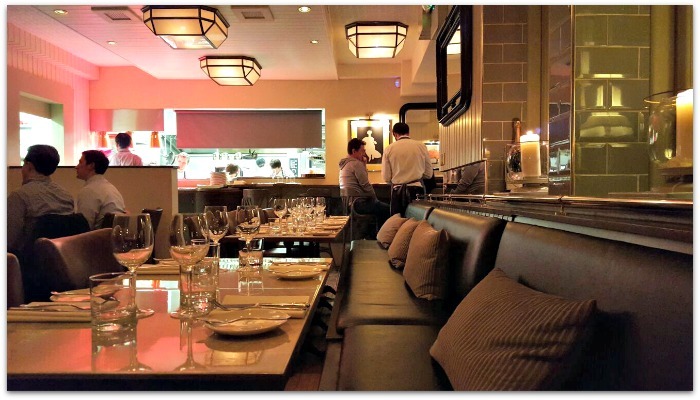 Find Brioche at 51 Elmwood Ave., Ranelagh, D6; call (01) 497 9163 or mail eat@brioche.ie.